Our community is made up of people from babies to 90 year olds who come from all over the city and from all walks of life and who bring with them a whole raft of stories and experiences. We're pretty real about life - both its ups and downs - we celebrate the ups, and share in the downs. New people are always welcome, and we hope you will find a "home" with us! 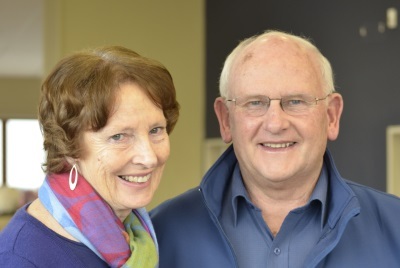 Roly Scott has been the senior minister at Caversham since 1984, coming here from Ashburton. After nineteen years combining school chaplaincy and pastoral ministry Roly is now heading the recently appointed staff team – see below. Introducing Erin and Darren who started here in 2015. 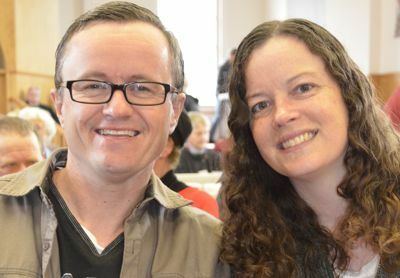 Erin is our new youth pastor and had previously been at East Taieri church. They have 2 girls in primary school. Erin’s background is in teaching PE and Outdoor Ed and doing Youth Work, including gaining the National Diploma in Youth Work. Apart from being a mum's taxi Erin enjoys dancing, skiing (when she can) and going to Mainly Music. Erin has a passion to journey alongside young people as they develop. 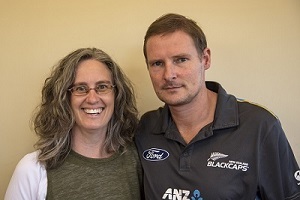 Julian Doorey is the Outreach Team Leader. Raised near Palmerston North, he was attracted south by Claire, a true Dunedinite. They have 2 children, Sam and Lucy, in senior high school. Originally a civil engineer, he worked in structural design and waste management. Claire worked in a pharmacy and later trained as a primary school teacher. 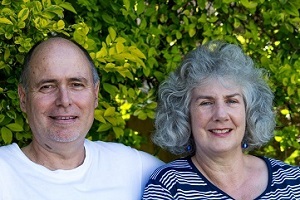 Prior to Caversham Baptist, they were in Bangladesh for 13 years, with the NZ Baptists - Julian involved in ‘church based community development’ and Claire teaching in a mission school. Karene Scott has been part of Caversham Baptist Church since she was a baby. In 2016, she started on staff as Pastoral Care Team Leader. She is married to Randal, and they have four children (Ella, Noah, Josiah and Micah). Karene’s voluntary involvement over the years ranges from worship leader and assistant treasurer to youth leader. Apart from being employed to run a pastoral care team, Karene is a full time mother and cleaner. Her favourite pastime is reading with a cup of tea and studying the Bible.